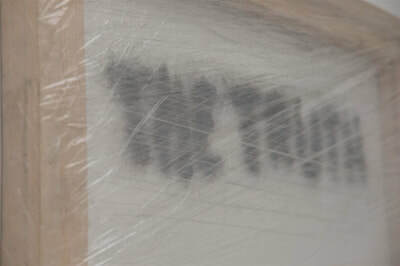 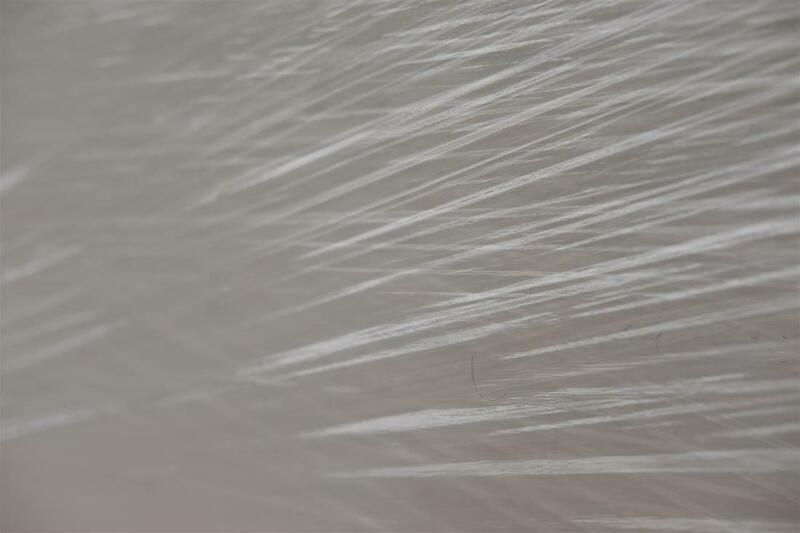 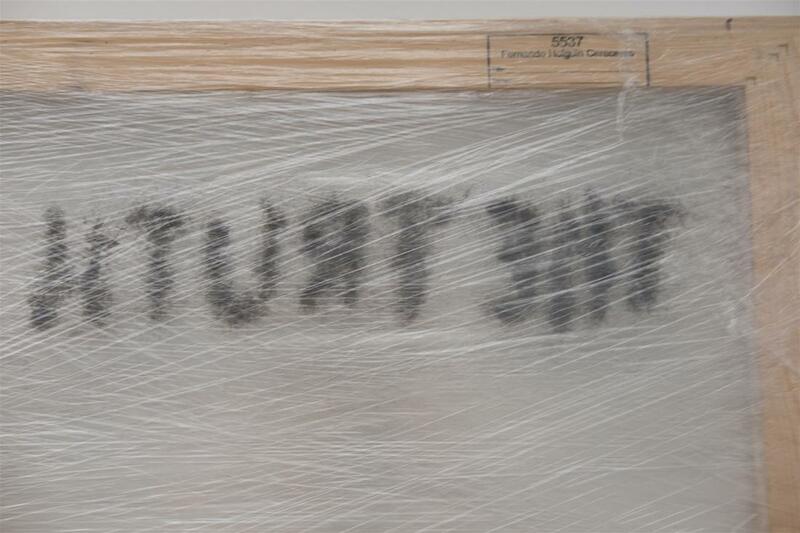 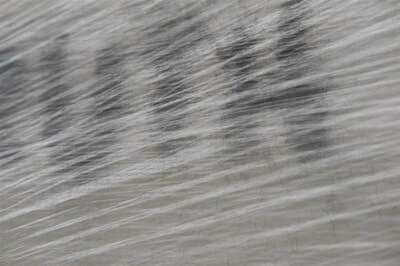 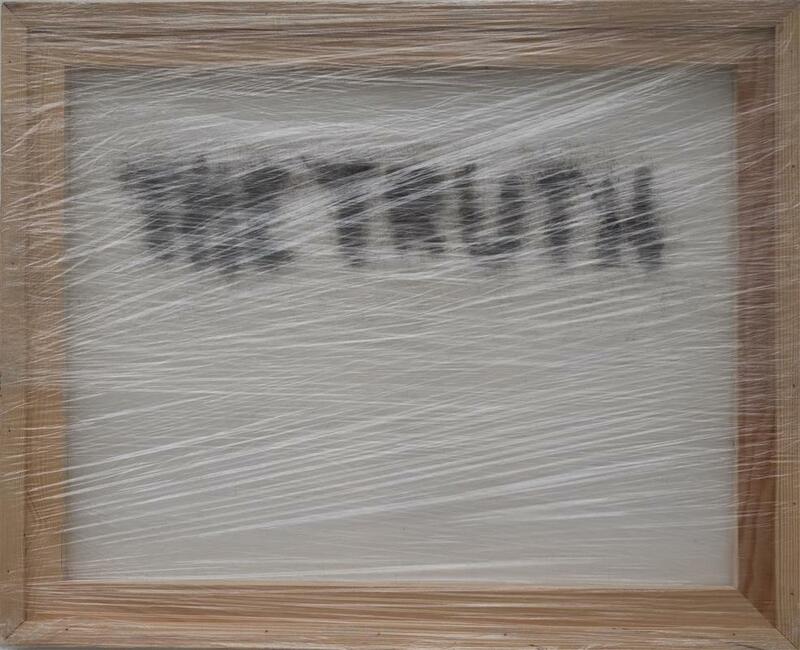 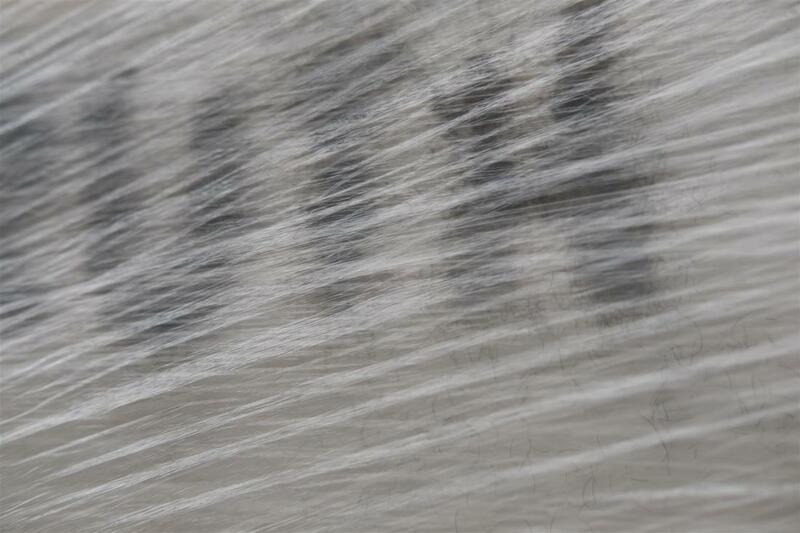 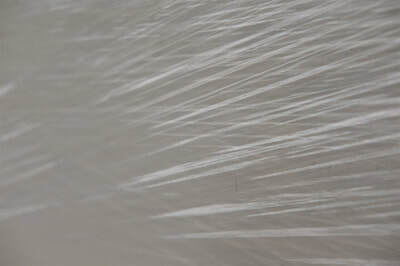 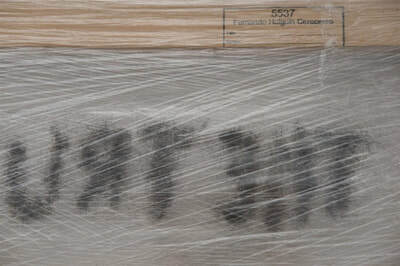 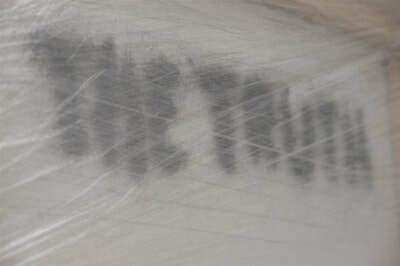 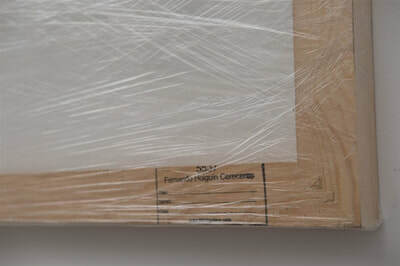 The concept of transparency is depicted here on a painting format using text to emphasise the object, in this case the written text ‘THE TRUTH’ uses human hair as a base of reality seen through a transparent ‘Cling Film’. 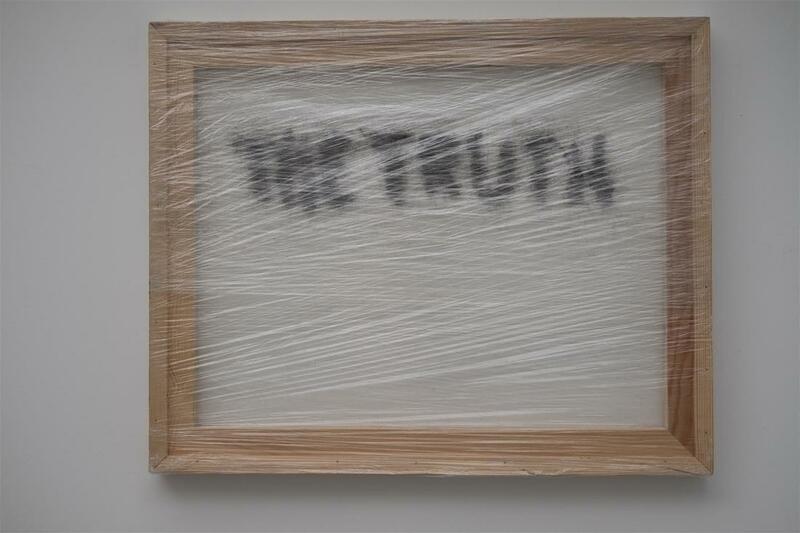 In our current contemporary times, when social and news media channels divert from reality with alternative facts and fake news, more than ever transparency is questioned in what we perceive as news and information, seeking transparency between reality and non-reality without bridging in any philosophical ideologies of what reality actually is. 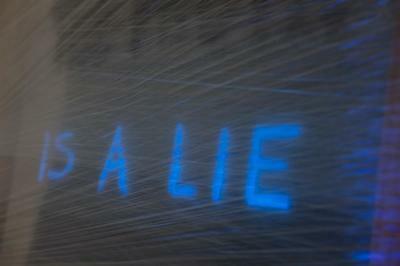 If we see or perceive something and remember it, then is that real? 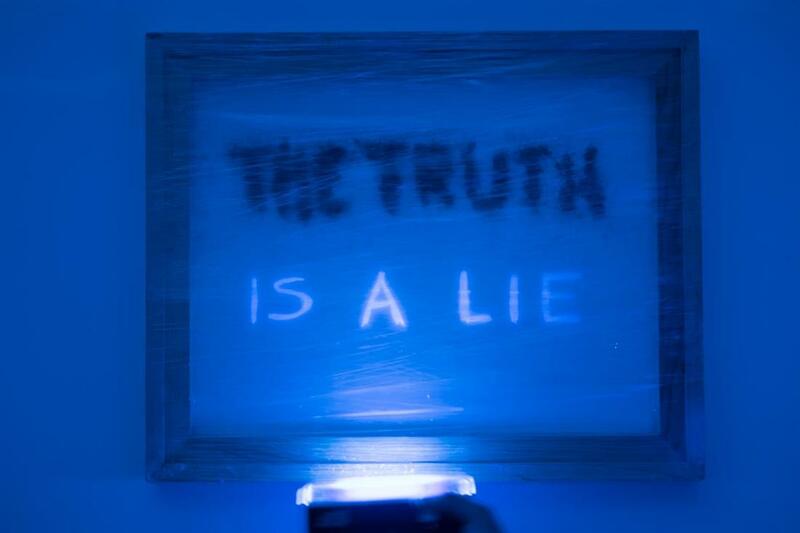 If we don’t perceive the UV text doesn’t mean is not there, and if we perceive it in our imagination, does it mean is not real? 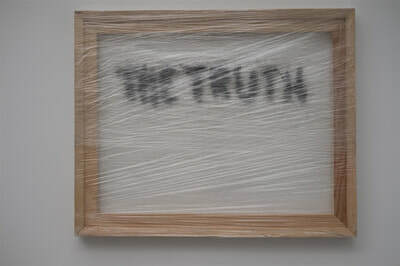 Wooden frame, UV sunlight resistant tape, clear glue, human hair, UV sensitive paint, and cling film. 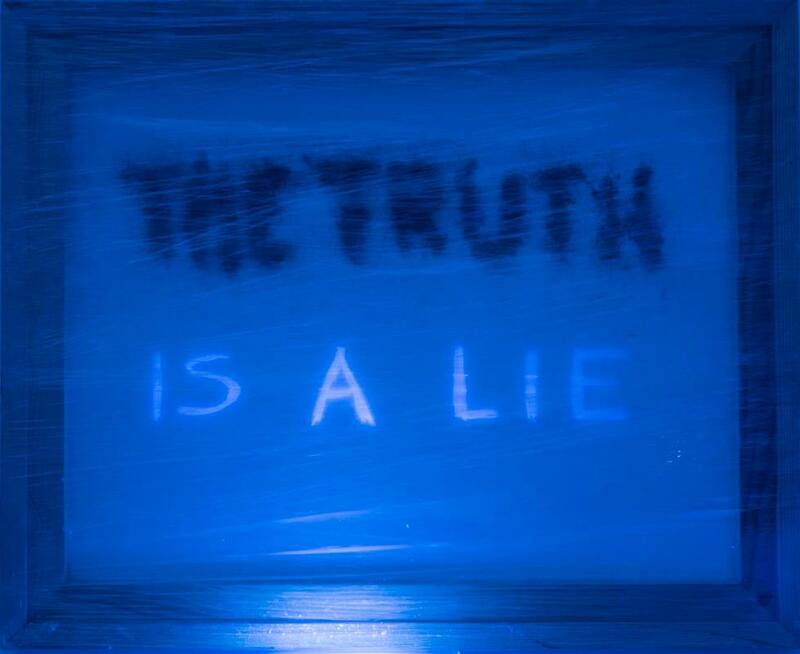 The lower text will show up for as long as it is exposed to a UV (ultraviolet) light source in a low light environment for clarity. 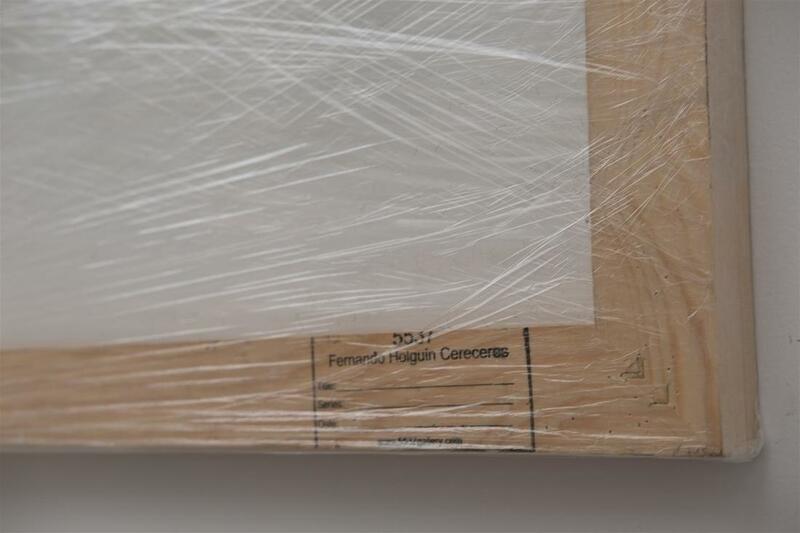 Wall Hanged as a regular framed painting, can also be suspended from the ceiling.